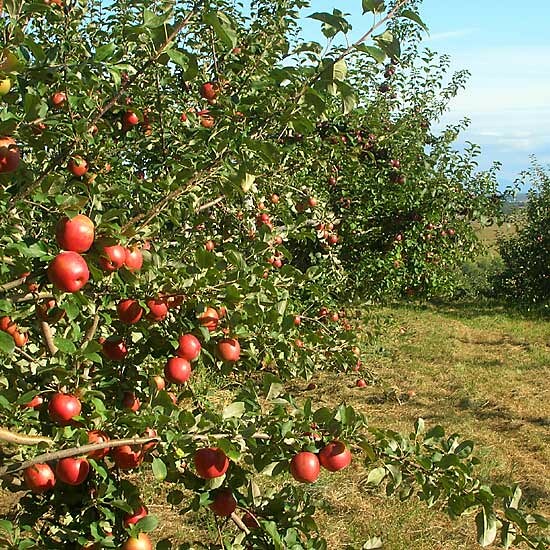 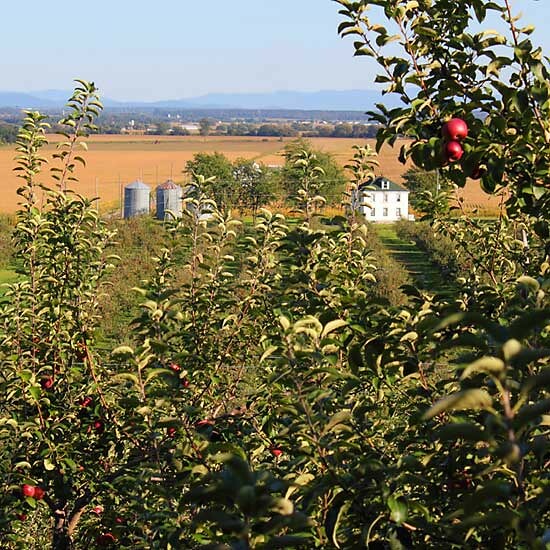 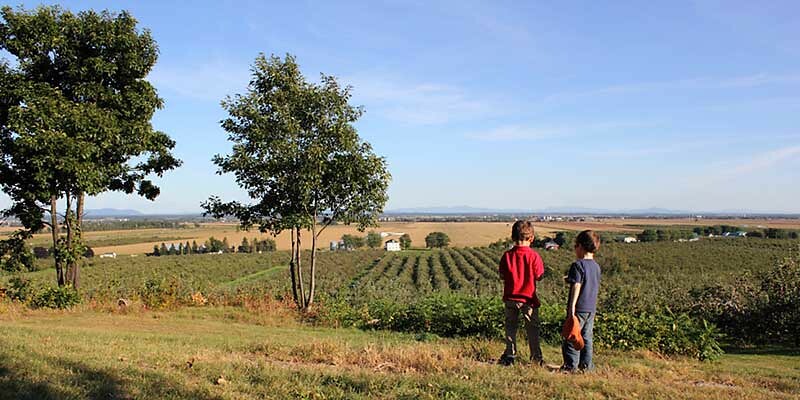 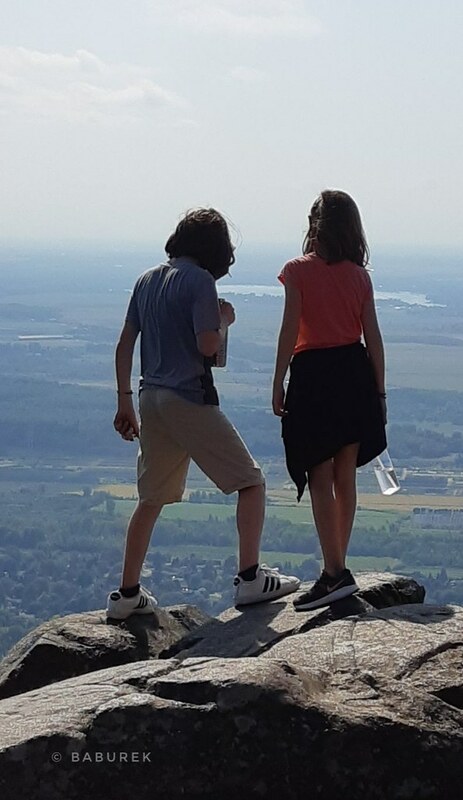 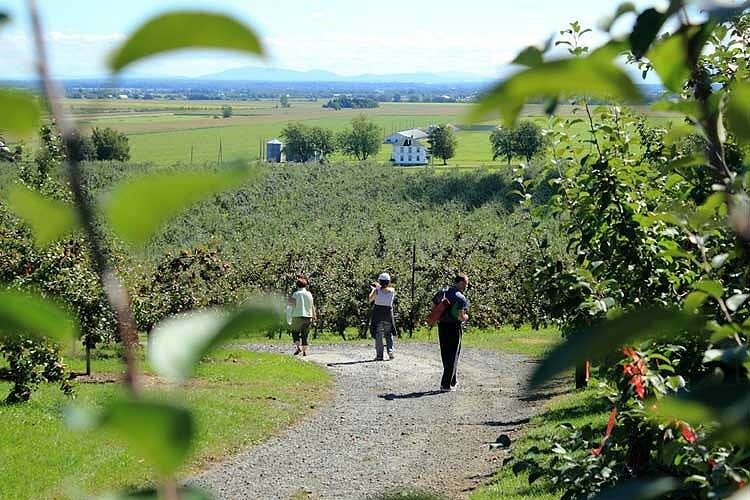 It takes around 45 minutes drive, direction south from Montreal (photos), to end up in beautiful “Verger du Flâneur” apple orchard, with spectacular view from the slopes of Mount Rougemont on Montérégie region of Quebec. 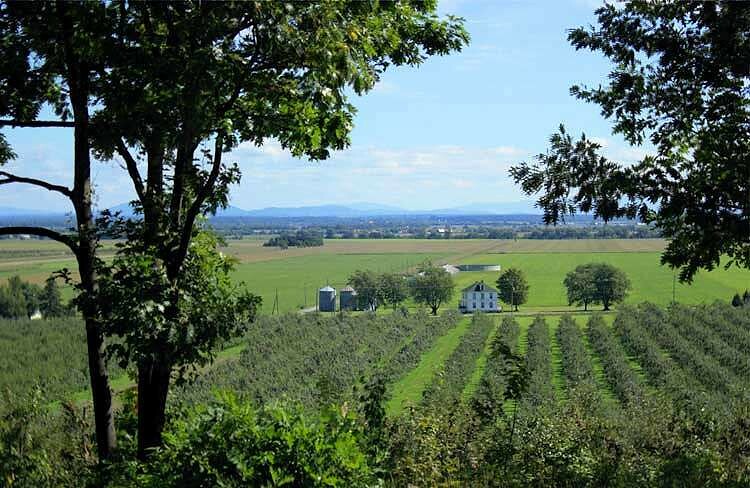 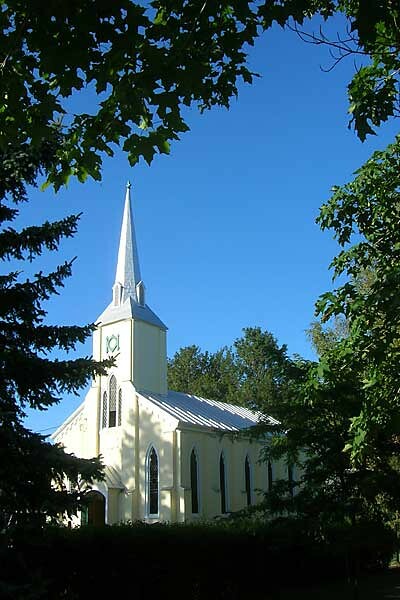 Beside apple orchard and view facing south from Mount Rougemont, one of the photos from Monteregie features St. Thomas – Anglican church, elsewhere in Monteregie. 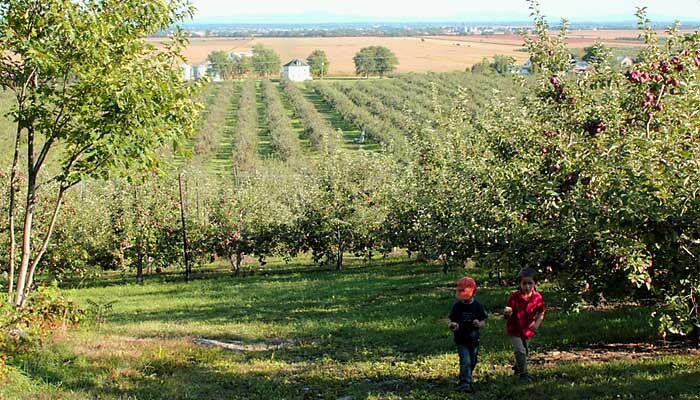 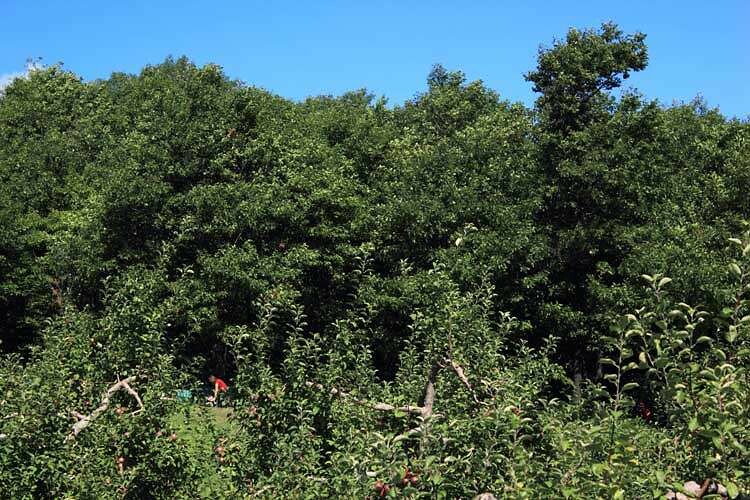 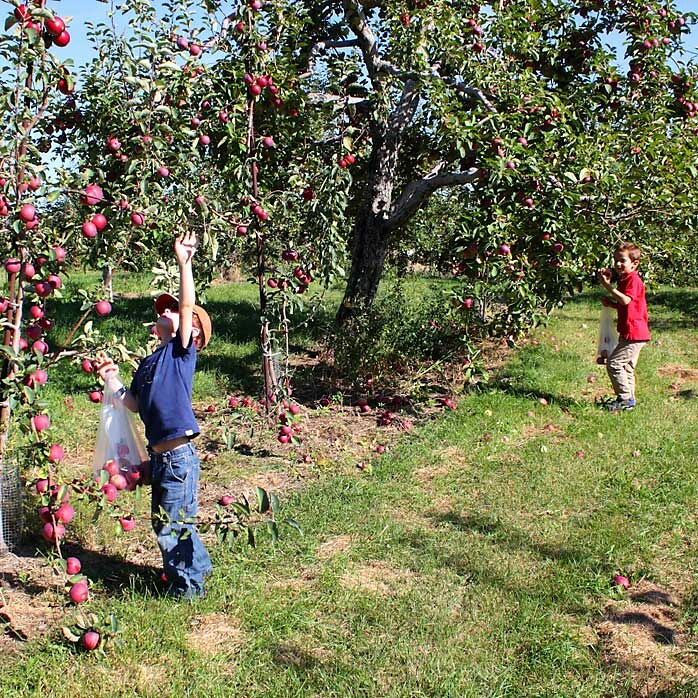 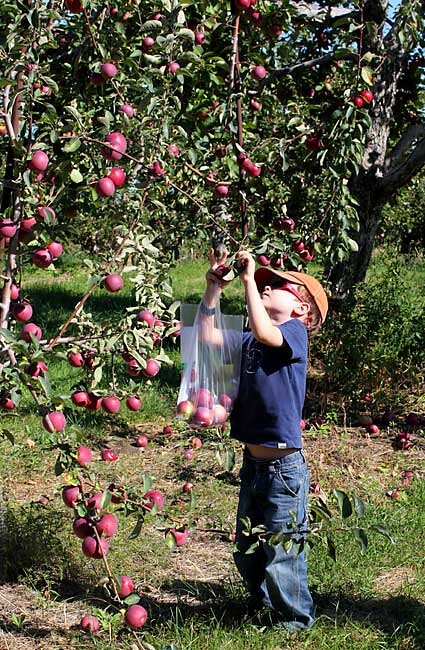 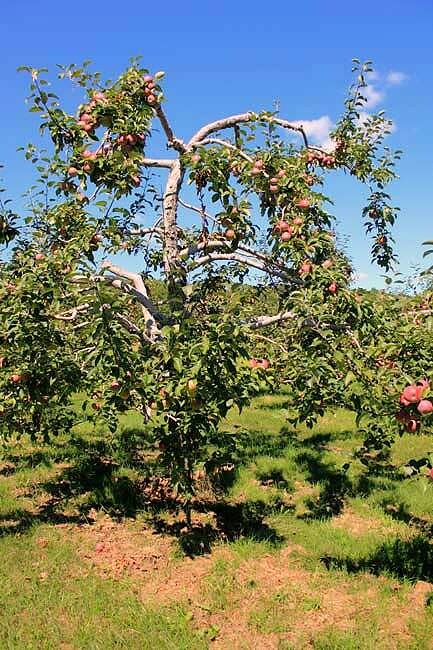 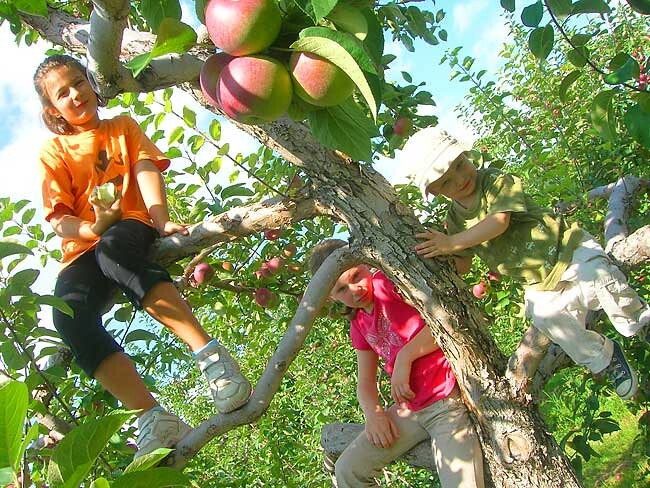 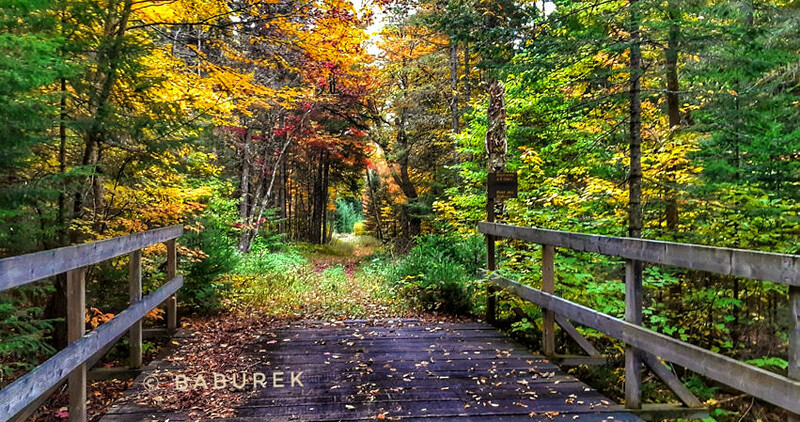 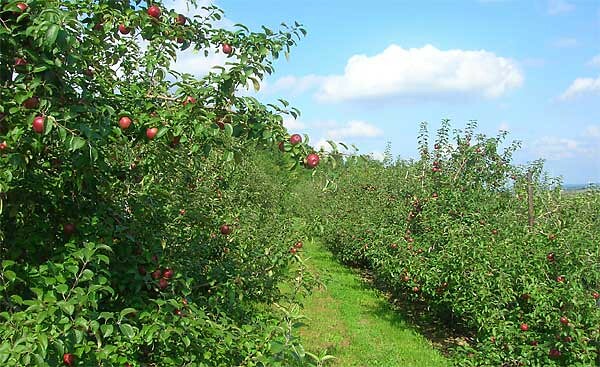 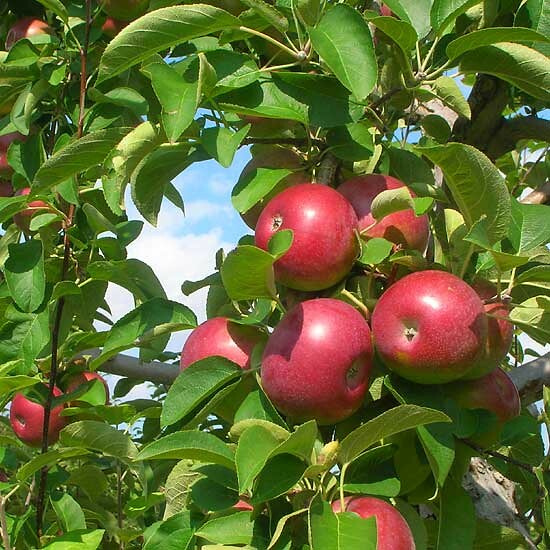 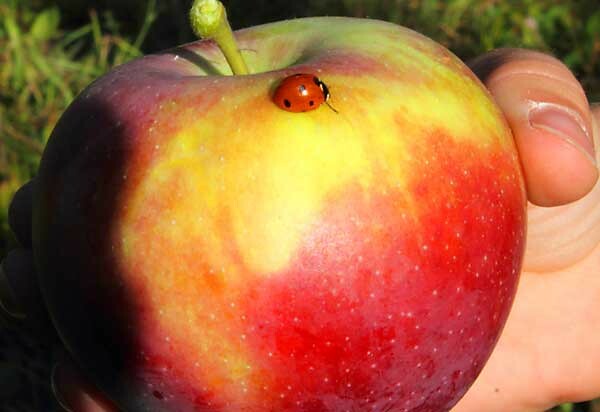 Verger du Flâneur orchard located at 1161 Petite Caroline in Rougemont, beside spectacular view overlooking Montérégie from picnic area found in the clearing, deeper in orchard, near the forest, has another picnic area at the very entrance in to the orchard.